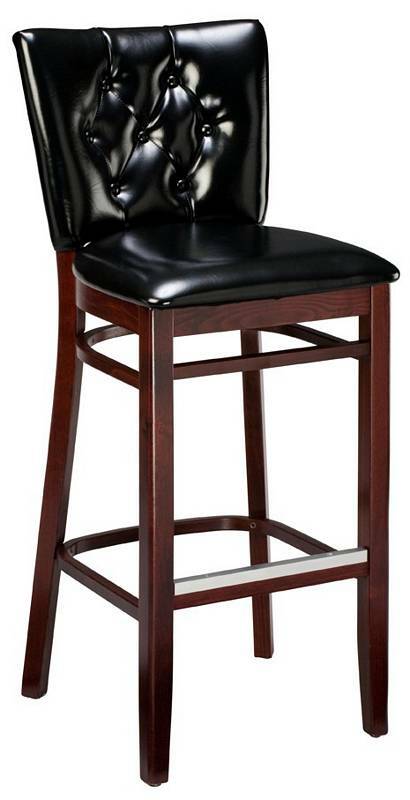 This wood bar stool with upholstered seat and back combines sleek modern style with classic charm. The hand-upholstered back features custom nail trim in brass or chrome and button tufting. Wood frame available in Mahogany, Walnut, Cherry, Natural, Honey, and Dark Walnut.